Your dock and boat storage solution! 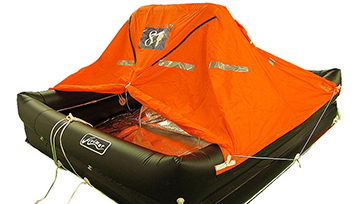 Coastal is the new raft by Arimar for safe coastal navigation within 12 miles. 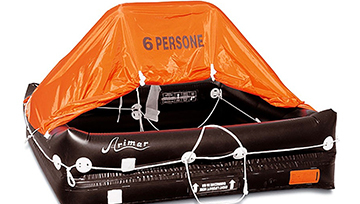 This life raft has been designed according to the safety regulations issued by the Italian Authorities (DM 146/08). Nautical Ventures is the official dealer for Palm Beach and Fort Lauderdale. Come into our store today and see it for yourself. 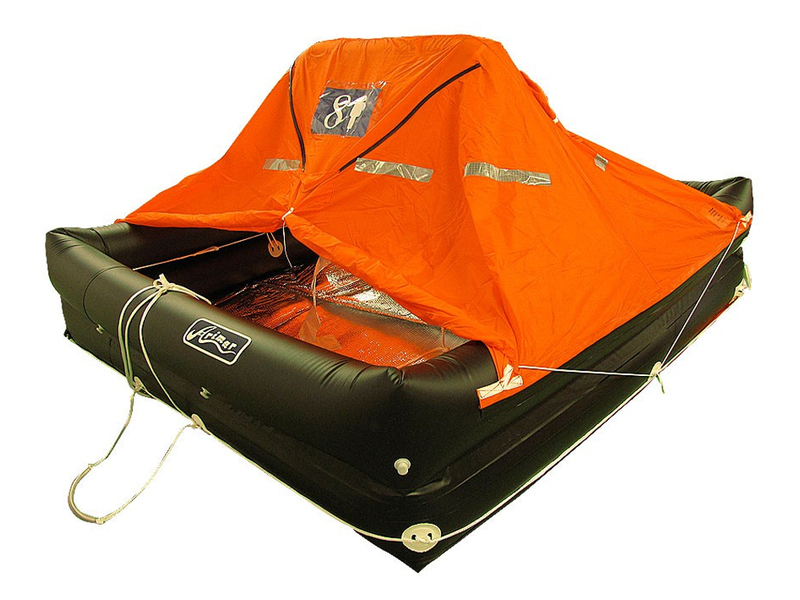 Coastal is the new raft by Arimar for safe coastal navigation within 12 miles. 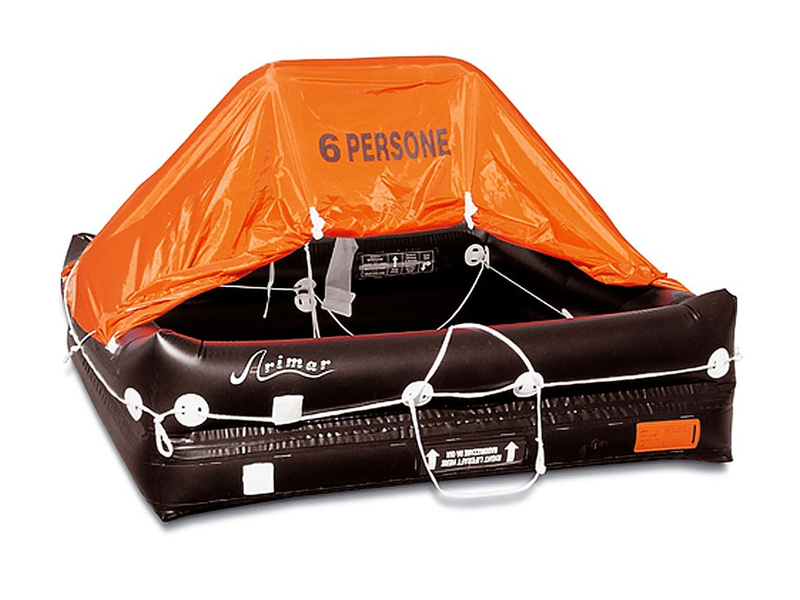 This liferaft has been designed according to the safety regulations issued by the Italian Authorities (DM 146/08). It’s available for 4, 6, 8, 10 and 12 persons and it comes in a fabric valise. Equipment: bellows, fixed-blade knife with floating handle, watertight torch, bailer, repair kit, 2 paddles, 2 sponges, whistle, drinking water (0,250 l per person). 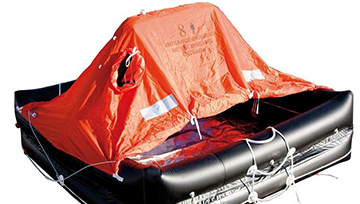 The new Italy liferaft is made in compliance with ISO 9650-1 and comes with an external separated Grab Bag, which makes the liferaft easier to stow and to carry around. it is ideal for pleasure boating with no coastal navigation limits for vessels of 24 meters or less. 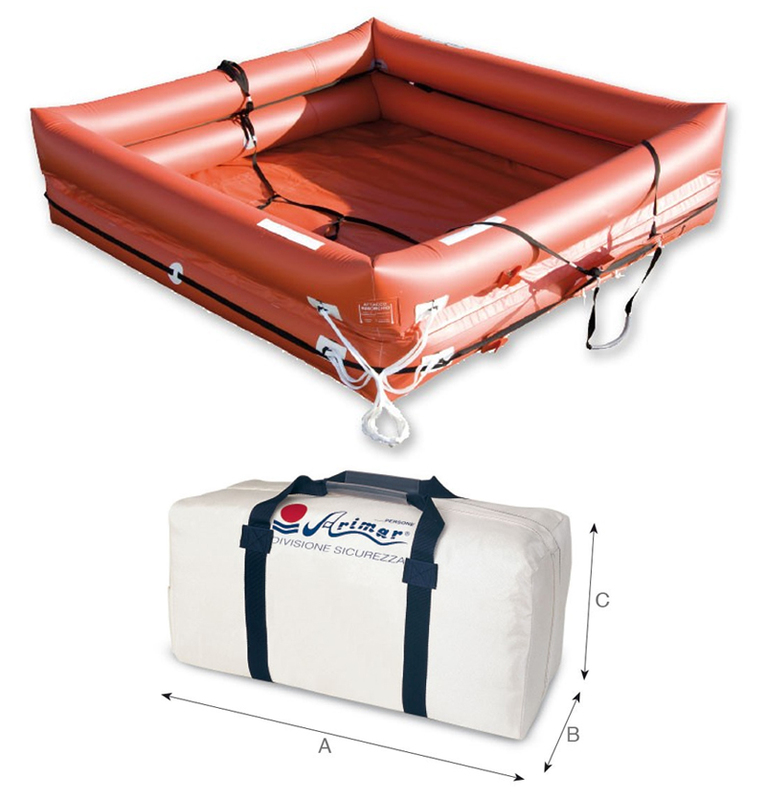 This liferaft is available in a rigid container or in a fabric valise. 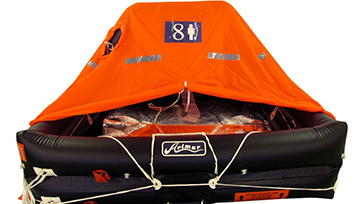 Liferaft line that is designed for the Croatian market (Pack 1 for the II navigation category/Pack 2 for the III-IV navigation category), in compliance with ISO 9650 standards. It is available in a rigid container or in a fabric valise. EUROPE TYPE1 - 24H OFFSHORE Lim. 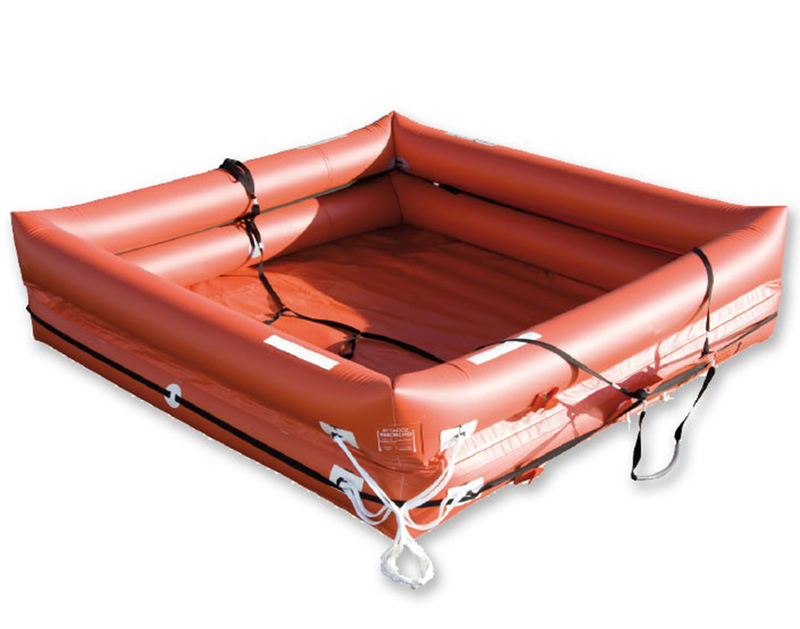 Line of life-rafts homologated in compliance with the French regulation and the ISO 9650 standard. The range consists of 3 models: Inshore (type 2 – for coastal use), Offshore Limited (type 1-24 hours – for open sea navigation, but characterised by a limited survival kit) and Offshore (type 1+24 hours – for open sea navigation with complete survival equipment). By placing a separate equipment bag aside – Grab Bag – the Offshore Limited can substitute the Offshore for the same class of navigation. All models are available in a rigid container or in a fabric valise. 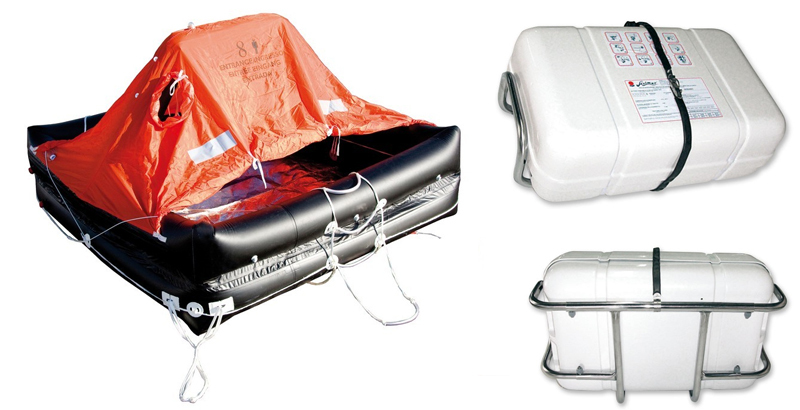 Line of liferafts which are homologated in compliance with the French regulation and the ISO 9650 standard. The line consists of 3 models: Inshore (type 2 – for coastal use), Offshore Limited (type 1-24 hours – for open sea navigation, but characterised by a limited survival kit) and Offshore (type 1+24 hours – for open sea navigation with complete survival equipment). By placing a separate equipment bag aside – Grab Bag – the Offshore Limited can substitute the Offshore for the same class of navigation. All models are available in a rigid container or in a fabric valise. 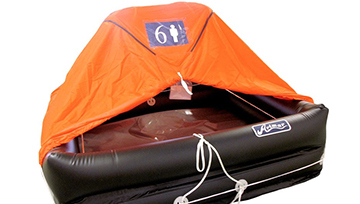 Line of liferafts homologated in compliance with the French regulation and the ISO 9650 standard. The range consists of 3 models: Inshore (type 2 – for coastal use), Offshore Limited (type 1-24 hours – for open sea navigation, but characterised by a limited survival kit) and Offshore (type 1+24 hours – for open sea navigation with complete survival equipment). By placing a separate equipment bag aside – Grab Bag – the Offshore Limited can substitute the Offshore for the same class of navigation. All models are available in a rigid container or in a fabric valise. 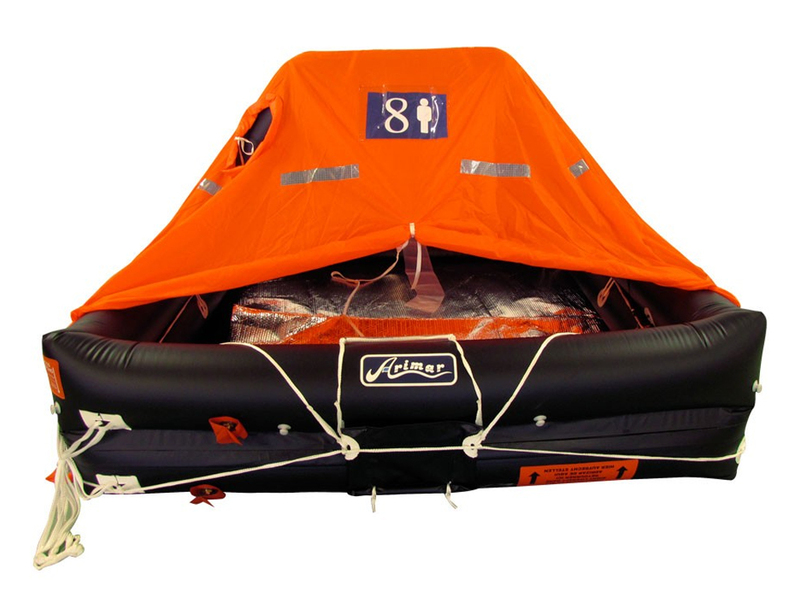 Liferaft line that is designed for the Greek market, in compliance with the standards in force. It is available in a rigid container or in a fabric valise. 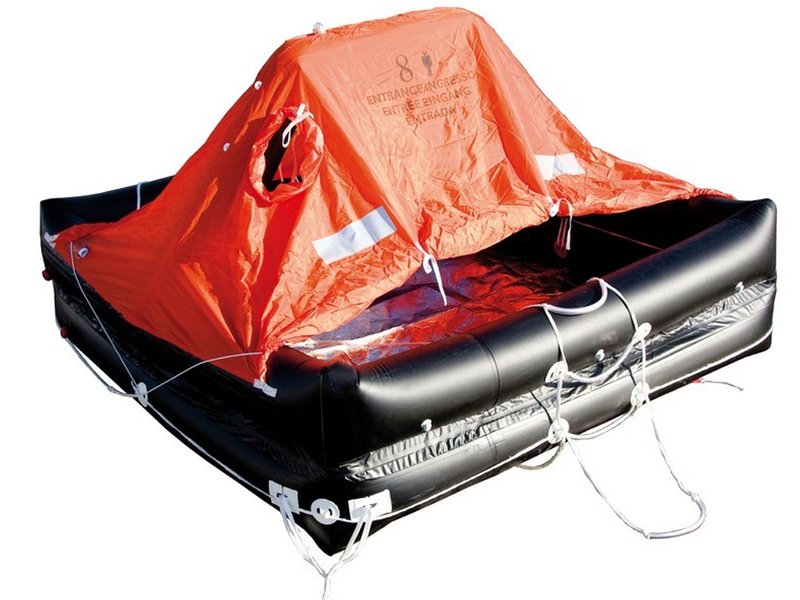 It is a compact and light “basic” liferaft. 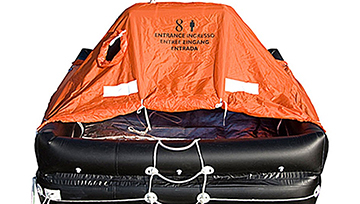 The International line includes inflatable liferafts which can carry 4 to 12 people. 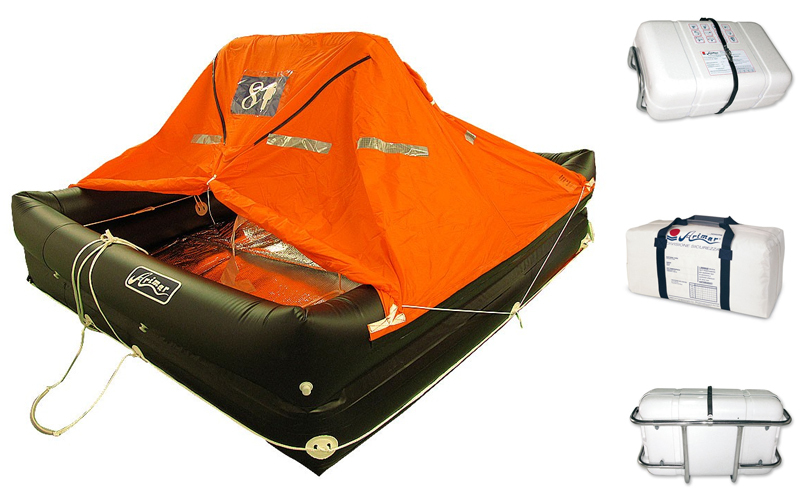 As its emergency equipment pack is reduced, it is advisable to use it for coastal navigation. More complete equipment for the most demanding navigation conditions. 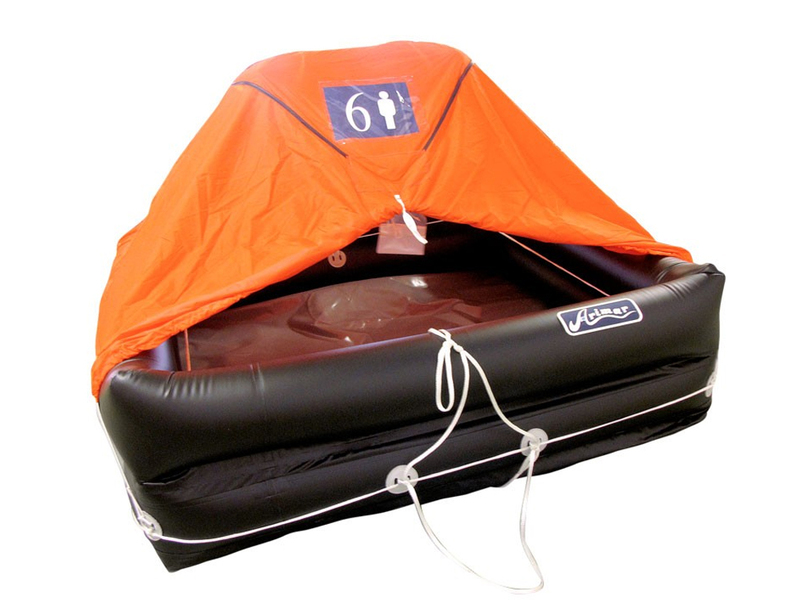 These rafts are particularly suitable for cold climates thanks to the thermally insulated base. 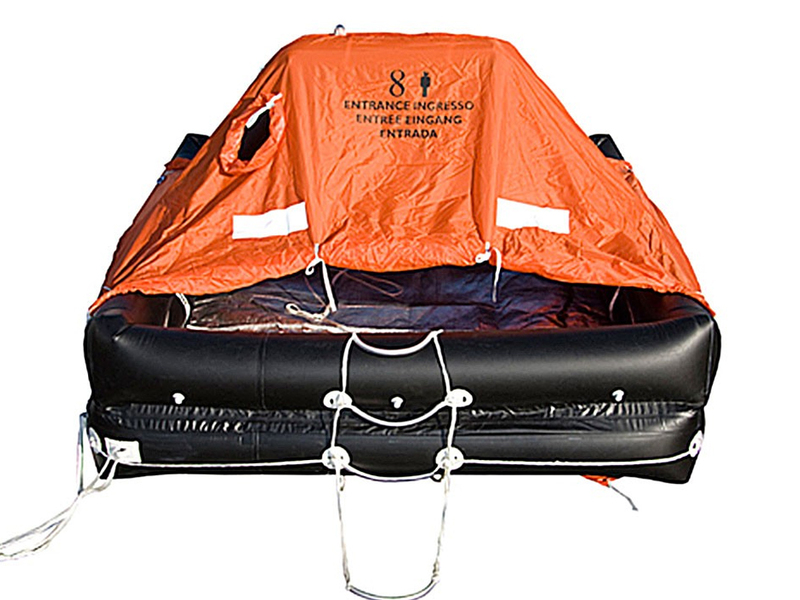 Liferaft line that was designed for the Spanish market, in compliance with the standards in force (cat. B “Zone 2 and 3” / pleasure navigation – ISO 9650-1). It is available in a rigid container or in a fabric valise. 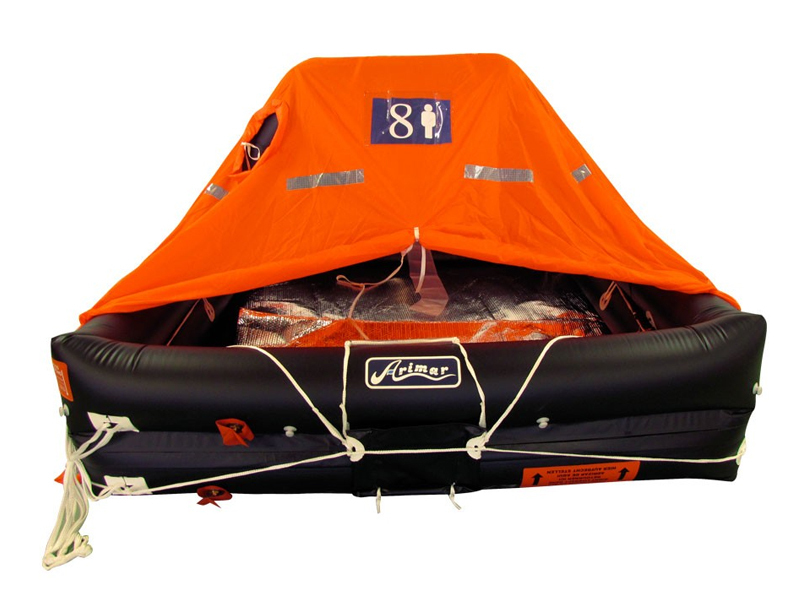 New light and compact liferaft lines were designed for North American markets, thanks to Arimar’s twenty-year experience in the marine safety sector. 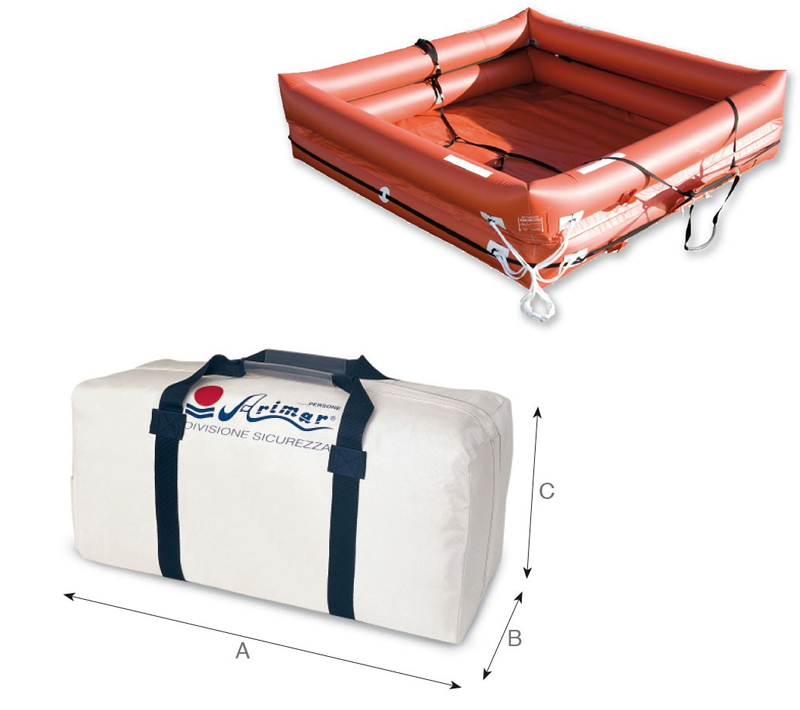 Two models for coastal or offshore navigation, in compliance with the USCG regulation, are available in a rigid container or in a fabric valise.